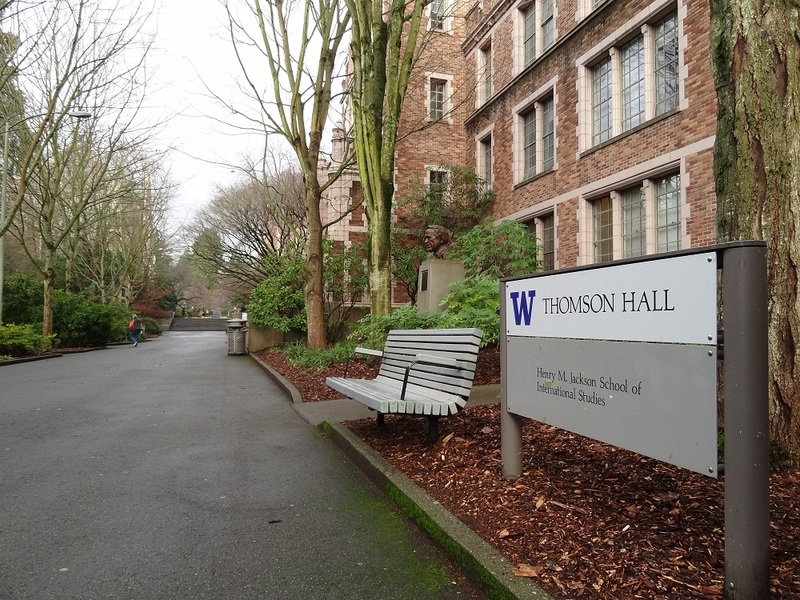 The University of Washington hosted the “West Coast Model EU” in Seattle on 22-23 February 2013. More than 60 students attended, representing Universities from across the Pacific North West. They had an opportunity to deepen their understanding of the European Union by participating in simulated negotiations. The themes chosen for the 2013 edition included the reform of EU Cohesion Policy, Banking Union and EU own resources. The winter term starts today at the University of Washington (UW), where I will be spending the next 6 months as an EU Fellow. Founded in 1861, the University is one of the oldest and largest on the West Coast of the USA. It is also one of 10 US Universities that host an “EU Center of Excellence” designed to promote teaching and research on EU affairs. The University has been pretty quiet since I arrived a few days ago in the middle of the winter break. I’ve enjoyed exploring the impressive facilities and picturesque campus on the shores of Union Bay, close to downtown Seattle. I have also had some interesting first exchanges with the new colleagues I will be working with at the Jackson School of International Studies.